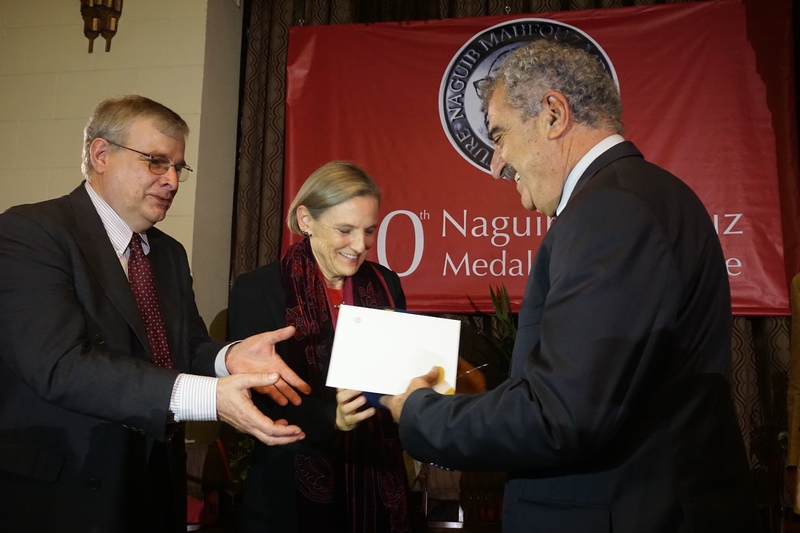 Celebrating Arabic literature for the 19th year since the establishment of the Naguib Mahfouz Medal for Literature in 1996, the American University in Cairo (AUC) Press presented its 2015 award to the esteemed Lebanese writer Hassan Daoud for his novel La Tariq Ila al-Janna (‘No Road to Paradise’). Published in Beirut in 2013 by Dar al-Saqi publishing house, No Road to Paradise is Daoud’s ninth novel. In their citation for the award, the judges described No Road to Paradise as “a marvelous psychological novel that penetrates the enigmas of time and man in a religious society,” adding that: “Daoud’s evocation of a character enclosed in his existence in a southern Lebanese village is subtle and profound. “The work’s insights are Proustian in their precision. Each paragraph is like a wafer-thin cross-section of reality, so simply presented that the problems and questions that each action raises are exposed in all their complexity through narration reminiscent of Ernest Hemingway’s narration and short, crisp sentences that conceal more than they reveal. Presented by Dr. Lisa Anderson, president of the American University in Cairo, the winner of this year’s award was decided by the members of the Award Committee: Dr. Tahia Abdel Nasser, Dr. Shereen Abouelnaga, Dr. Mona Tolba, Dr. Humphrey Davies and Dr. Rasheed el-Enany. 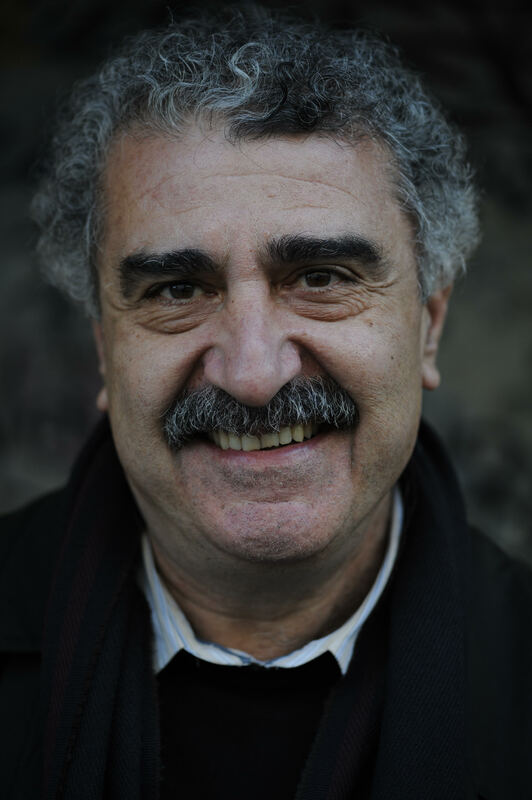 In addition to his rich contributions in Arabic literature, which have been translated to several languages, Daoud is also celebrated for his work in journalism. Born in Beirut, Lebanon in 1950, Hassan Daoud graduated from the Lebanese University in 1973, and holds a master’s degree in Arabic literature. Along his career as a journalist, he held many positions including his work on the Lebanese daily al-Safir, editing its weekly cultural supplement for three years. Among the other positions he held are: writer for the culture and heritage pages of the London daily al-Hayat, editor of Nawafidh -the literary and cultural supplement of al-Mustaqbal- and editor-in chief of the monthly magazine Rasif 22. He is currently the editorial director of al-Mudun news website and is on the editorial board of the quarterly magazine Kalamon. In addition, he has taught creative writing at the Lebanese American University. On the literary end of his achievements, Daoud has, to date, authored three short story collections and ten novels. Some of his most prominent works include: Bunayat Matild (The House of Mathilde; translated into English and French), Ayam Za’ida (Borrowed Time; English, French, German, Italian), Sanat al-Utumatik (The Year of the Revolutionary Bread Making Machine; English) and Ghina’ al-Batrik (The Penguin’s Song; English, French, German), which was awarded the Muntada Cultural Prize for the best Lebanese book of 1998. His novel Mi’a wa Thamanun Ghuruban (One Hundred and Eighty Sunsets) was awarded the Mediterranean prize for literature, long-listed for the International Prize for Arabic Fiction (the ‘Arab Booker’) in 2010, and translated into French. Furthermore, he wrote the screenplay for the film Zawaya, and translated R.K. Narayan’s novel The Painter of Signs into Arabic. At the award ceremony, the AUC Press celebrated the recent publication of six new paperback editions of Naguib Mahfouz novels: The Harafish, Children of the Alley, Khan al-Khalili, Midaq Alley, The Mirage, and The Thief and the Dogs, in addition to a new translation, Mortal Designs by Reem Bassiouney. Adding a sprinkle of excitement and anticipation for literature lovers, the AUC Press gave away a teaser for its Spring 2016 publications which include: the new paperback fiction imprint titled Hoopoe, as well as The Televangelist by Ibrahim Essa, A Rare Blue Bird Flies with Me by Youssef Fadel, Whitefly by Abdelilah Hamdouchi, and Time of White Horses by Ibrahim Nasrallah. For more than 25 years, the AUC Press has been the primary publisher of Naguib Mahfouz’s English-language editions. Furthermore, it has catered for the publication of some 600 foreign-language editions of the Nobel laureate’s works in more than 40 languages around the world since the author won the Nobel Prize for Literature in 1988. With up to 60 new publications annually and more than 800 titles in print, the AUC Press is recognized as the region’s leading English-language publisher. 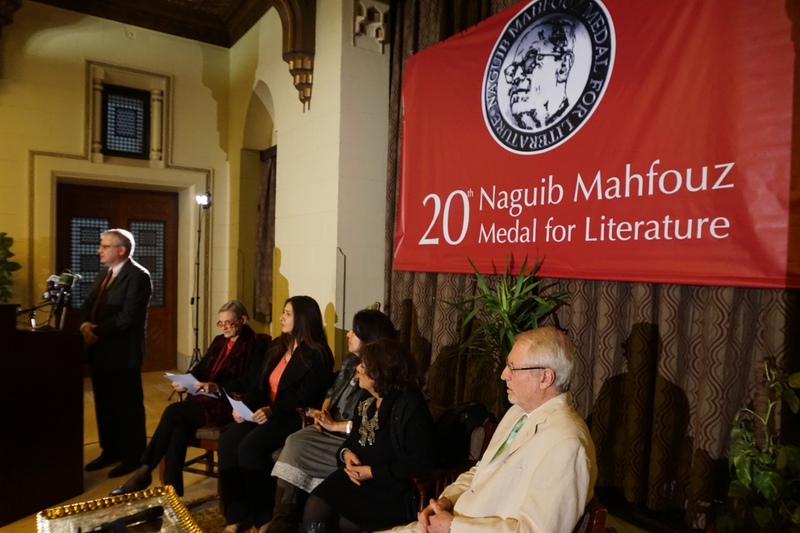 The 2016 Naguib Mahfouz Medal for Literature is now accepting nominations and submissions until 15 February 2016, taking into consideration that Arabic novels published for the first time in 2014 or 2015, and not yet translated into English, are eligible. To submit your work, get in touch with the AUC administration at Tahrir Square.